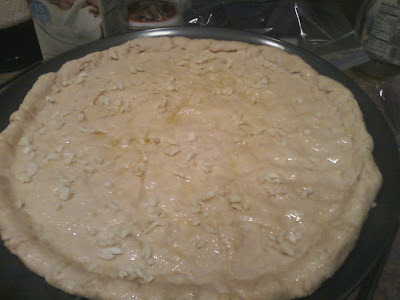 This is my mom's pizza dough recipe. We use it all the time for our Friday night pizzas. Feel free to play around with the white/whole wheat flour ratios. You will probably have to adjust the liquid ratio too. I find that sometimes this recipe is a bit dry- maybe it's our high altitude and dry weather- who knows. You can add some water and olive oil if it seems dry. 1. 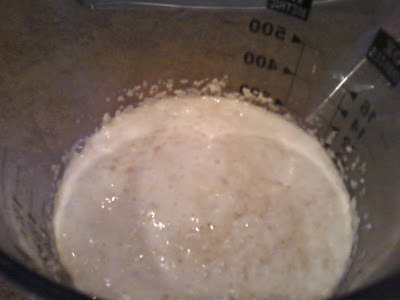 Mix warm water, yeast and sugar and set aside until frothy- it should only take a few minutes. 2. 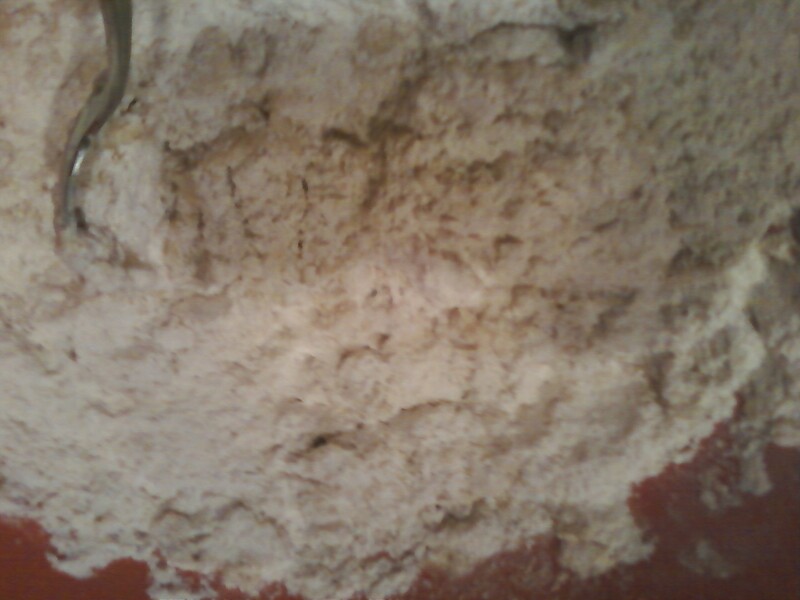 In a separate and large bowl mix the flour, sugar, salt, spices. Sprinkle in the olive oil. 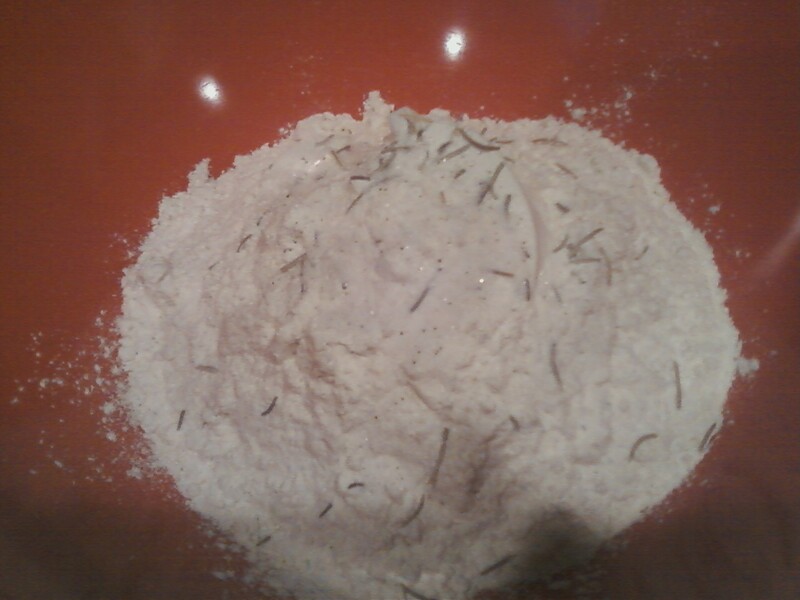 We added some crushed, dried rosemary to our dough! 3. Add the water/yeast/sugar mixture to the dry and mix firstly with a spoon and then get messy and mix with your hand. You should knead it for a minute or two in the bowl to make sure everything is mixed together. 4. Set the dough aside covered with a towel and let it rest and rise a bit- maybe 15 to 20 minutes. 5. Stretch out the dough onto an olive-oiled cookie sheet. Or use a pizza stone- we haven't tried it with one of those yet but we have one and need to do so! Bake at 425ºF-450ºF for about 12-15 minutes. Olive oil and garlic on top of our pizza crust. 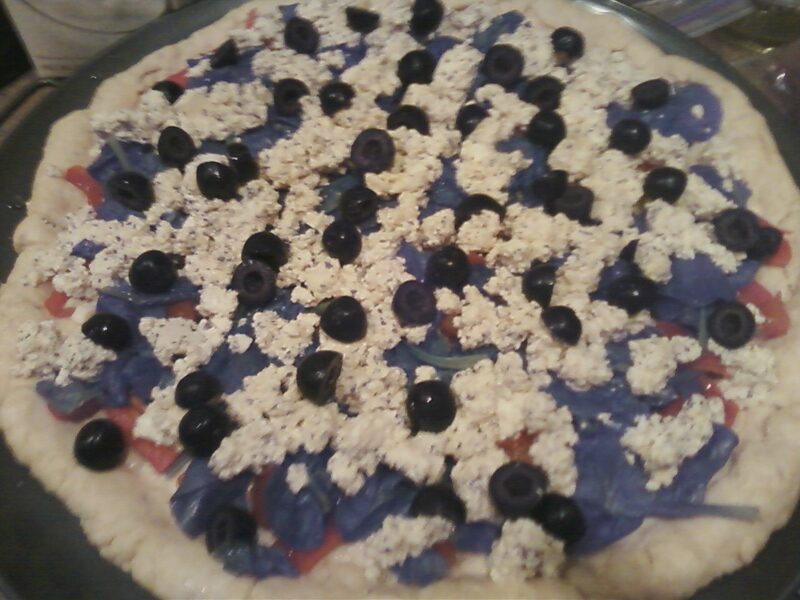 Our Greek pizza before going into the oven!